- Controls up to 3 Devices. Comprehensive Code Library Works with All Major Brands. 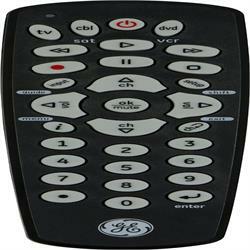 - For Use with TV, DVD, Blu-Ray, DVR, VCR, Cable, Satellite and Digital Converter Box.